There’s been a lot of confusion lately between our blue throated macaw, Jinx, and what people assume is a blue and gold macaw. So I decided I’d write this on their differences! 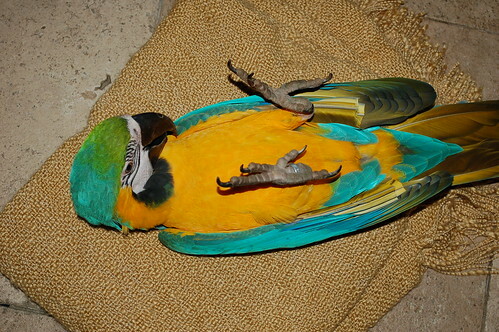 The above picture is of two blue throated macaws; Bonnie and Jinx. 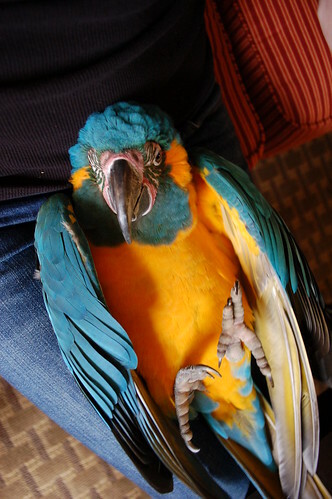 Below is a blue and gold macaw, named Jersey. The main distinguishing marks are plumage differences as well as size differences. 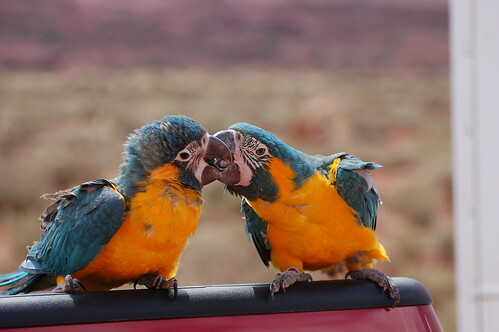 Some consider blue throated macaws as a type of “mini macaw” because they’re much smaller than blue and golds, and even smaller than military macaws. 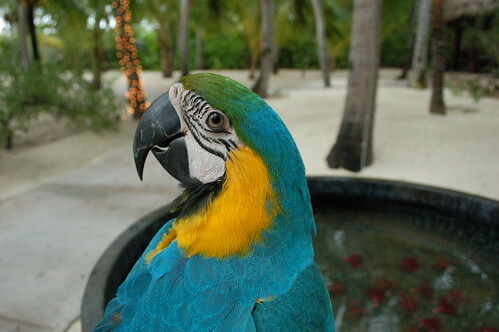 A good tip to remember which is which is that a blue throated macaw has a patch of blue feathers on their throat, where a blue and gold macaw has a black splotch instead. Blue throats ONLY have the colors yellow and blue, nothing else. This is Jinx again (blue throat) and you can see that he has no other colors in his plumage but simply yellow and blue. The blue and gold have white, black, blue, yellow and green feathers. Normally they have green on the tops of their heads, black on their throats, black and white around their eyes and the full blue bodies with the yellow breasts. In this picture you can see the distinguishing marks I’m talking about on the blue and gold. Jamieleigh Womach has been working with parrots and toucans since the age of 17. She isn’t homeless but is home less than she prefers to be. She travels the world with her husband, daughter, and a flockful of parrots with whom she shares the stage.